PHILADELPHIA (Feb. 26, 2015) — Oozing with disgusting science and interactive learning games, a new exhibit opening Saturday, May 16, at the Academy of Natural Sciences of Drexel University provides a unique perspective on the animal kingdom. Get ready to be totally en-GROSS-ed! Animal Grossology offers a fresh take on some of the more disgusting things animals do and engages visitors in how blood, vomit, pellets, dookie and slime can be fun, funky and even fascinating. See larger-than-life bloodsuckers and learn where they store blood in their bodies. Learn why a cat’s anatomy is the reason why cats spit up hairballs. Unravel the mystery of the incredible tapeworm. Discover how snail and slug slime may lead to a treatment for cystic fibrosis. Find out why cows chew cud. There is a $5 fee to enter Animal Grossology in addition to regular admission. A $2 discount is available for tickets purchased online at ansp.org. 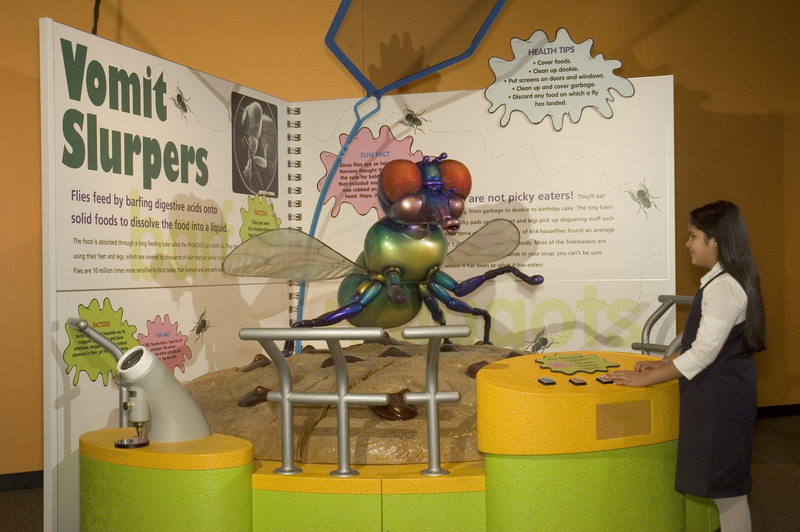 GROSSOLOGY Exhibition is produced by Advanced Animations LLC. GROSSOLOGY is a registered trademark of Penguin Group (USA) LLC.